The holidays are officially in full swing. Office parties, cocktail parties, and Christmas dinners are the norm. Food and drinks are everywhere. More than likely, you’ll be asked to bring an appetizer or two to an event in the coming weeks. Sure, you have your go-to’s, but attend the same parties every year and that particular dish is beginning to become a little bit boring. I, myself, have a go-to and I’m willing to share this item with all of you so that you can have something new to bring to the table. You’re welcome. 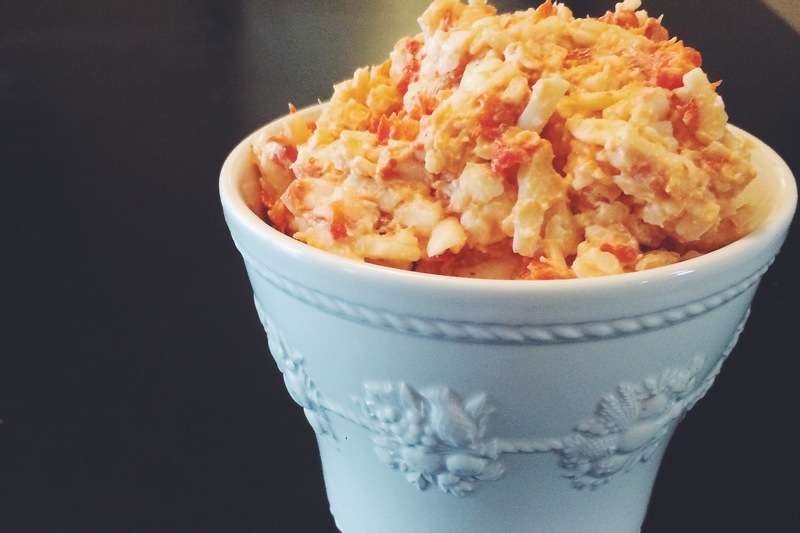 The infamous dish is…Pimento Cheese! It’s a Southern classic and delicious to boot. 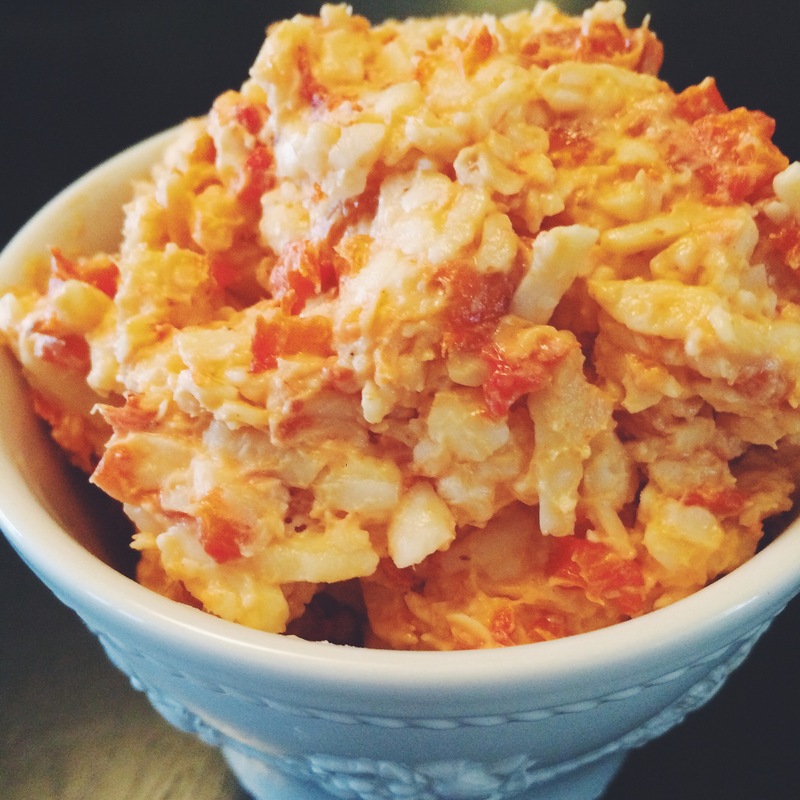 With only 5 ingredients, it’s a simple recipe to throw together in time for any kind of party. THE INGREDIENTS. These ingredients are specific and very much necessary to the final product. THE METHOD. Basically, throw everything into a bowl and stir it on up while tasting here and there to make sure that everything is coming together nicely. For the peppers, you can use your grill or turn your broiler on to high. 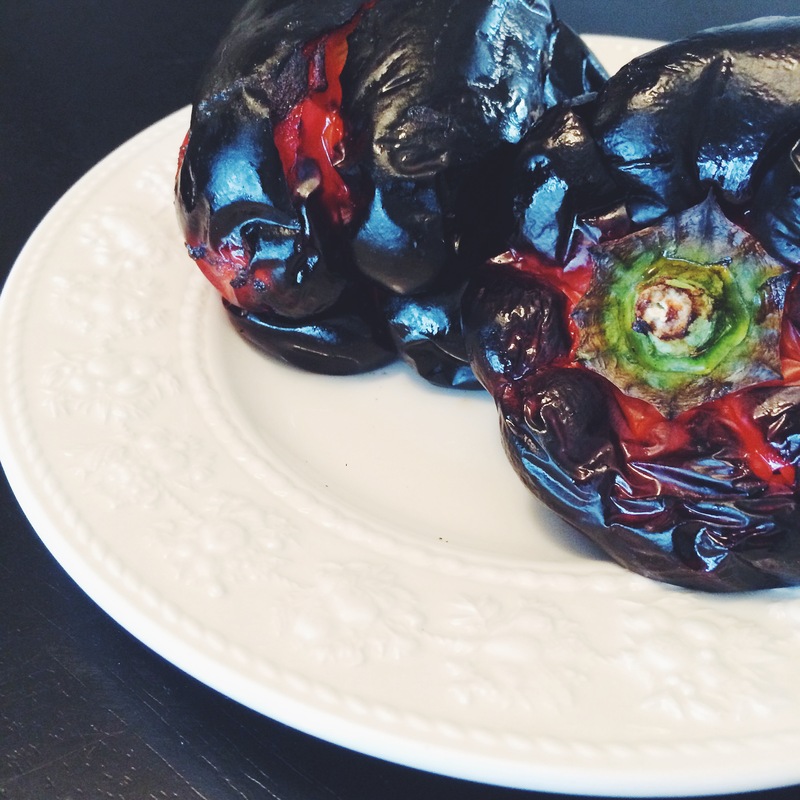 Oil up the peppers and roast until they are charred on all sides. The better the char, the easier it will be to peel them later on. We’re going for total blackness. Once they are done, place them a bowl to cool off. 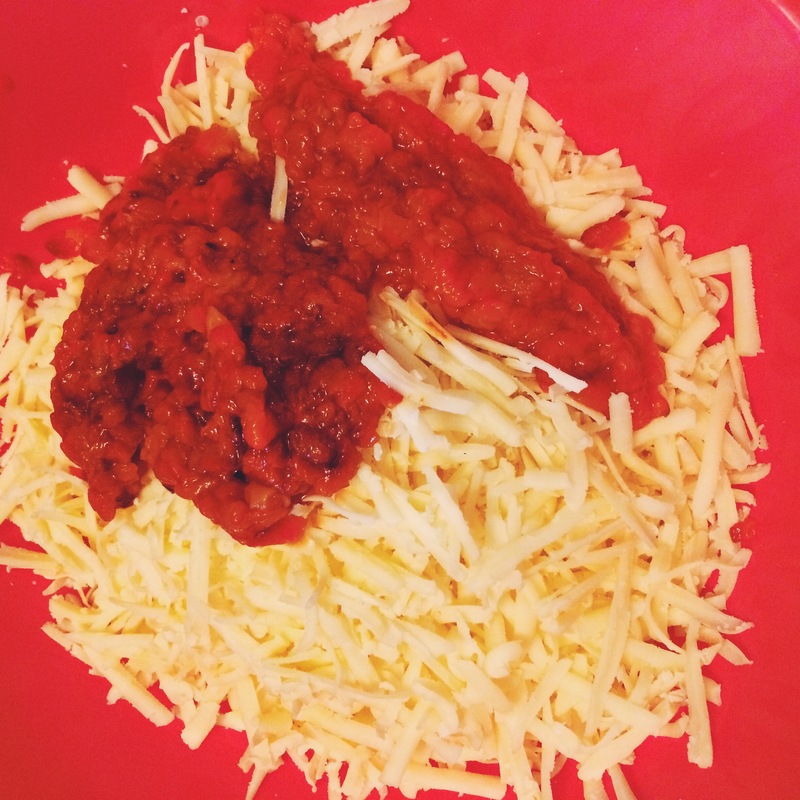 Grate up your pound of white cheddar and place it in a large mixing bowl. 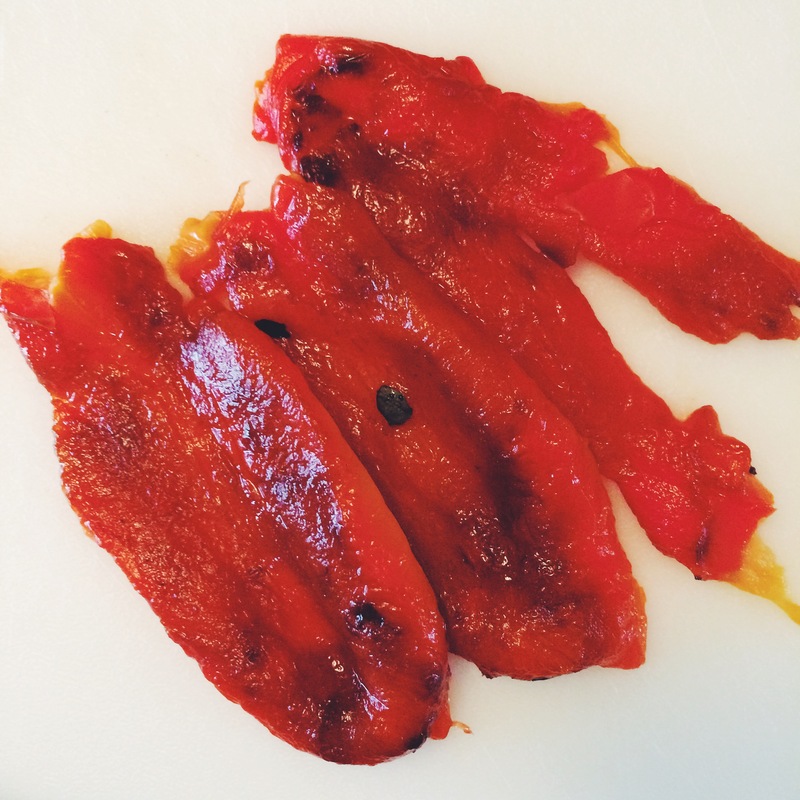 Peel the char off of your peppers. Remove all the seeds. Chop the up into a nice, small dice. Add them to the bowl with the cheese. Add your 1/2 cup of mayo, the paprika, cayenne, and salt. Mix it up until everything is thoroughly combined. Taste to check your seasoning. If you want it kicked up notch, add some more cayenne. ENJOY IT. 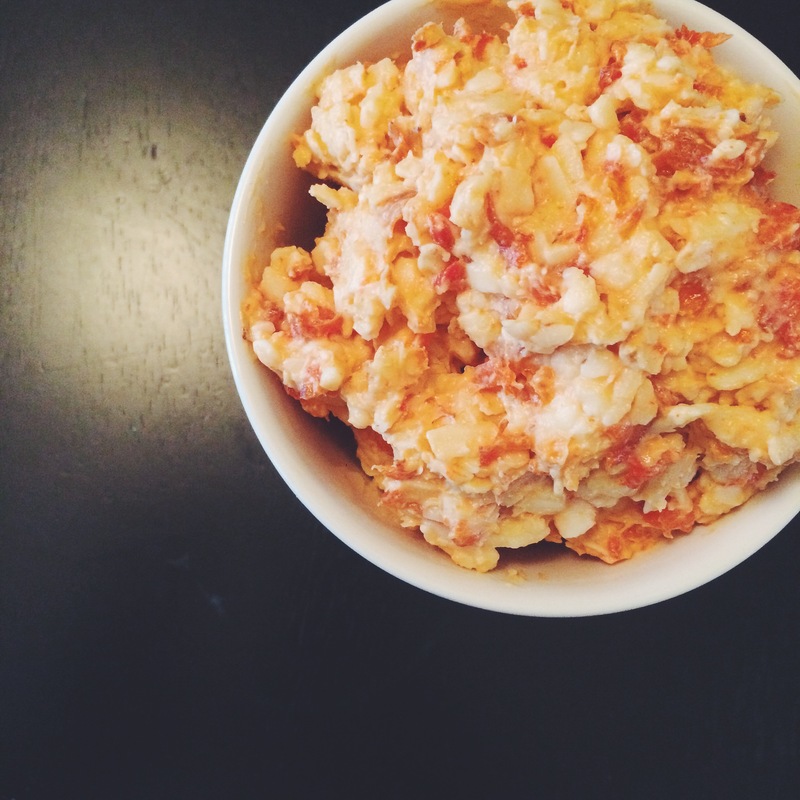 Pimento cheese is delicious on it’s own. It’s wonderful on buttered crostini or grilled in the form of a sandwich. If you’d like to be healthy, eat it with some celery. It’s a very versatile dish. 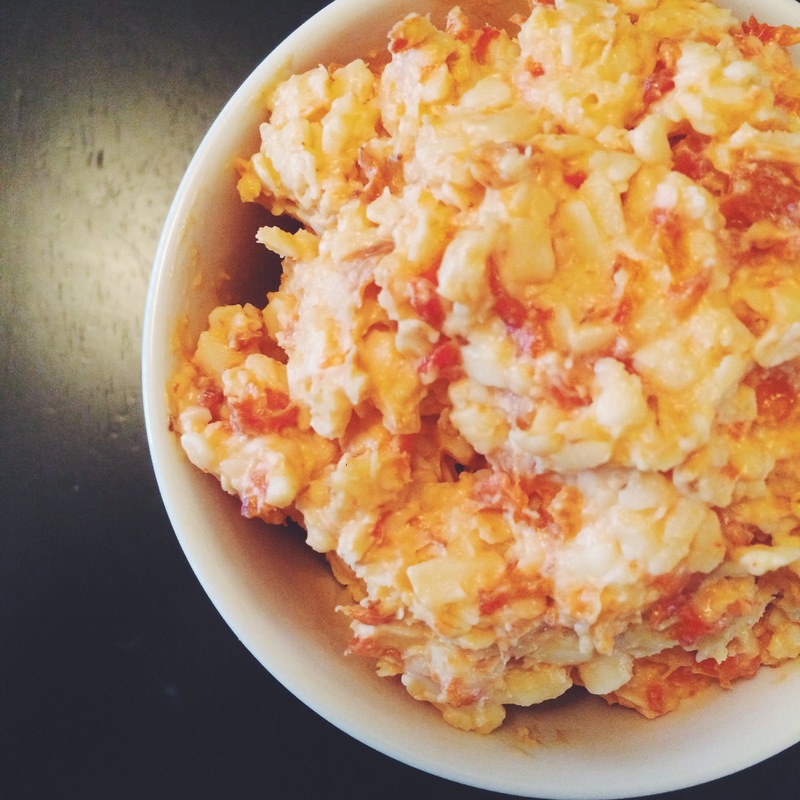 So, change up your usual appetizer and make some pimento cheese. Your guests will love it, I promise you. In fact, I just made it for my sister’s company Christmas party and they said it reminded them of their Grandmother’s. Honestly? That’s the best kind of compliment because everyone knows Grandma’s food is the best. Go on. Give it a try. You won’t be disappointed.